As you’ll likely have gathered by now, the Chinese jailbreak outfit Pangu released an all-new tool earlier on that facilitated the untethered jailbreak of any device running iOS 8.0 through the latest iOS 8.1. Due to its fledgling, largely unfinished state, though, it still has a number of bugs and limitations, notably that it’s Windows-only and doesn’t install Cydia. However, there is now a way to get Cydia up and running on your freshly-jailbroken handset, and below, we’ll show you how to go about it. 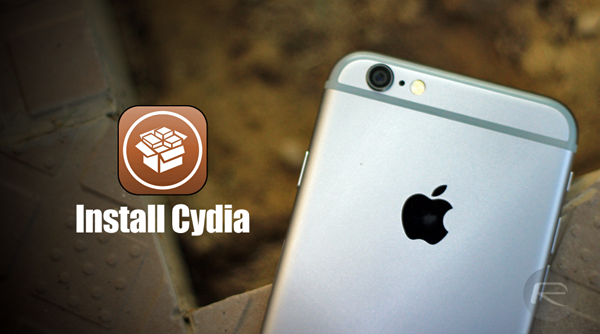 Let’s not beat around the bush; here’s how to install Cydia on your just-jailbroken device. Said device should be properly backed up. A PC or Mac connected to the same Wi-Fi hotspot as your iOS device. This part is important for SFTPing your Cydia file. Patience. This process, like the jailbreak, is a little unrefined, and thus, it should be noted that things may not run as smoothly as with, say, Pangu for iOS 7.1.x. First and foremost, you’re going to download and install OpenSSH. 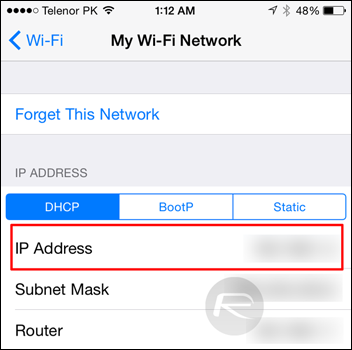 Step 1: With your iOS device connected to a Wi-Fi network, tap on the Pangu icon on your home screen. Step 2: Now tap on the OpenSSH option. Step 3: Tap on Install on the top right-hand corner of the display. Step 1: If you haven’t already, make a backup of your device’s content. Step 2: Download the latest Cydia .deb file from here. You’re also going to be download the cydia-Iproj file from here. Step 3: Once the .deb files are on your machine, you’ll need to SFTP the file onto your device. To do this, Mac users should opt for Cyberduck, while those on Windows are advised to use WinSCP. Step 4: On your device, navigate to Settings > Wi-Fi, and find the hotspot that both your device and PC / Mac are connected to. Next to the connection’s details, hit the "i" and make note of the IP address. Step 5: Using your designated SFTP client, key in the IP address as well as "root" for username and "alpine" for the password; ignoring the quotations, of course. Step 6: Once the file browser appears, drop the .deb files in the root folder of your device. Step 7: This is where things might get a tad tricky. Next, you’ll be firing in commands that you may not be familiar with, so ensure to watch closely if you’re not familiar with this process. To start an SSH command line session on Windows, hit Ctrl + T and on Mac, hit ⌘ + T.
And that’s it! It’s not the most seamless jailbreak tool we’ve ever used, but it does work, and hopefully, the Pangu8 tool will be updated soon and spare users of the painstaking manual process involved here. It is important to note that Cydia Substrate hasn’t been updated yet for iOS 8. Therefore not all of your favorite jailbreak tweaks will work. If you do happen to give this a whirl, be sure to let us know how you get on by dropping a comment below! Update: There is another easier way to install this, copy the .debs in /var/root/Media/AutoInstall/. If the folder does not exist, create it. Once done, reboot your device. Cydia should now be there on your screen. Go into your settings and fetch it. Lol google is your best friend but if you can’t figure it out let me know I’ll help you through it. Have you found the cause for the random re springs? did you update pangu to x.2 first? if not you will have to restore, delete, reinstall, rejailbreak, update, install openssh, force install cydia via winscp, force remove JUST pangu1.0 reboot and cydia should be available. What exactly didnt work? If you’ve updated the Pangu untether to version 0.2, Cydia Substrate no longer needs you to respring after rebooting. Unrelated to Cydia Substrate, setting a passcode still causes freezing upon rebooting. so if i restore and try again will it work? You are correct, today my 5s struck on Boot loop … restored and installed again without running that command 🙂 can see Cydia on springoard. I have enabled the passcode and finger print, that might caused this issue of Boot loop. Are you still having the random crash issues?